Ok, remember how I disliked BB cushions as they never lasted on me nor provided me with adequate coverage? I just changed my mind. 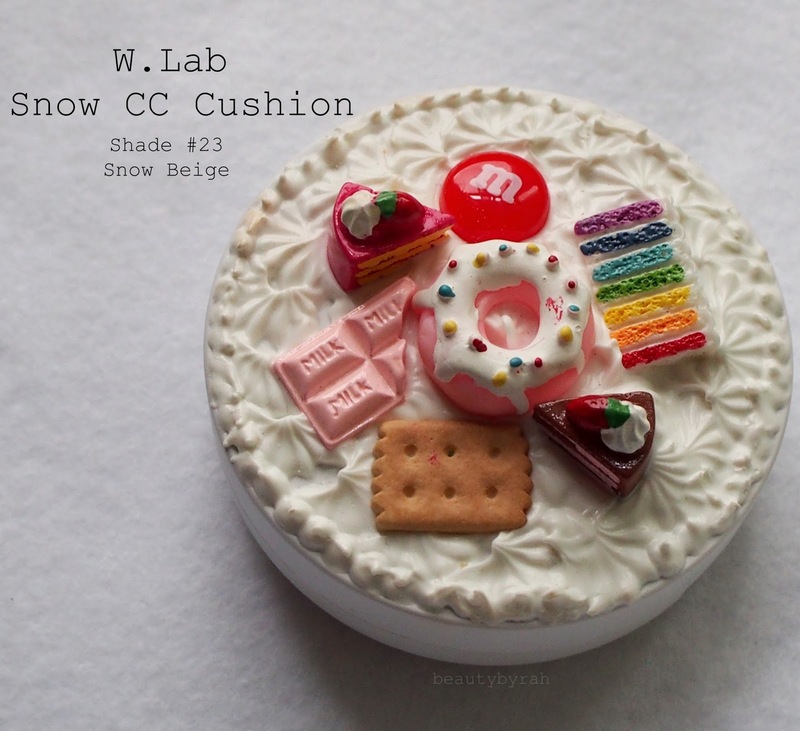 While attending an Althea Korea event, I got the opportunity to try out W.Lab 's W-Snow CC Cushion (and decorate it as well! First time ever, and I gotta say, I think I did a pretty decent job!). Cute, no? 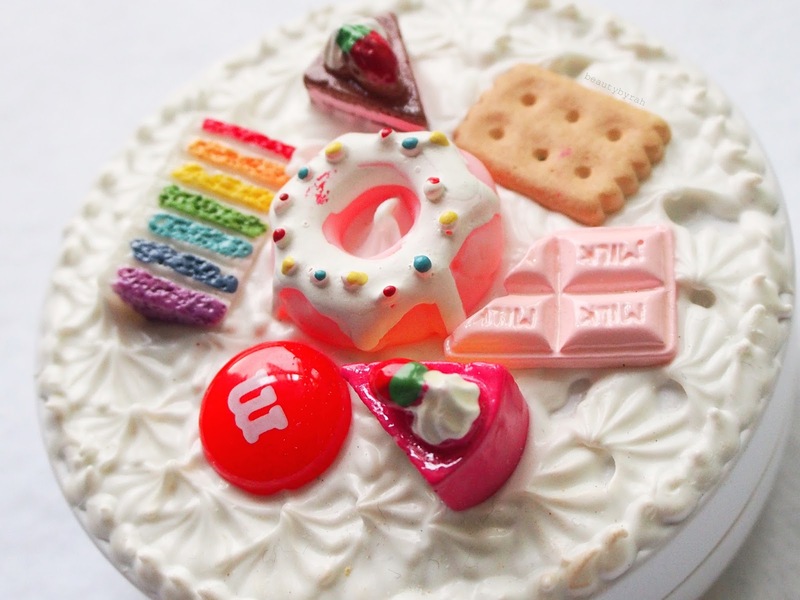 Doughnuts and cakes pretty much sum up my life, so this is extremely apt. Just so you could get up close and personal with my art work. Not having much expectations for it (as like any other BB/CC cushions), I decided to try it out the next day as I was in a rush for work and wanted something quick. Like many BB/CC cushions out there, this comes with a typical spongy cushion which dispenses the product when you press the sponge into it. I do like the applicator sponge provided as it does a good job of applying and blending the product. Bam. I was like ooh damn. This CC Cushion is actually good. 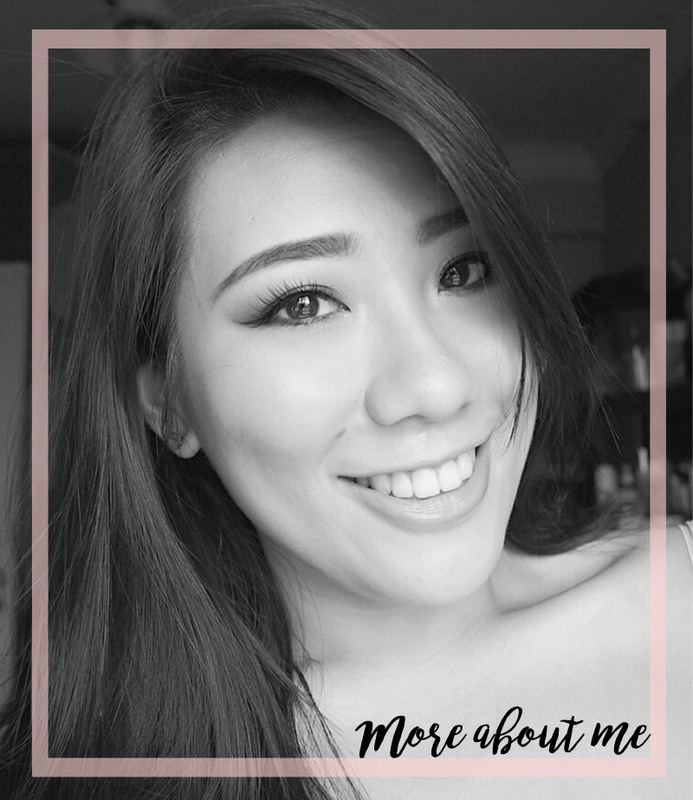 Upon the first application, it provided me with a decent medium coverage and my acne scarring was pretty much covered. Impressed, I tried building it up to medium-full, and it did perfectly, without being cakey. After finishing up the rest of my face makeup, I noticed that it had set to a dewy and luminous finish. Of course, being an oily girl, that won't do, but nothing a good setting powder can't fix. I used my Sacha Cosmetics Buttercup powder atop it and boy, am I loving how it looks. My skin looks radiant and healthy. Yes. Then the ultimate test. Being a generally unlucky person, I always have to run for the bus. Not cute. It takes a toll on me and of course, my face makeup. 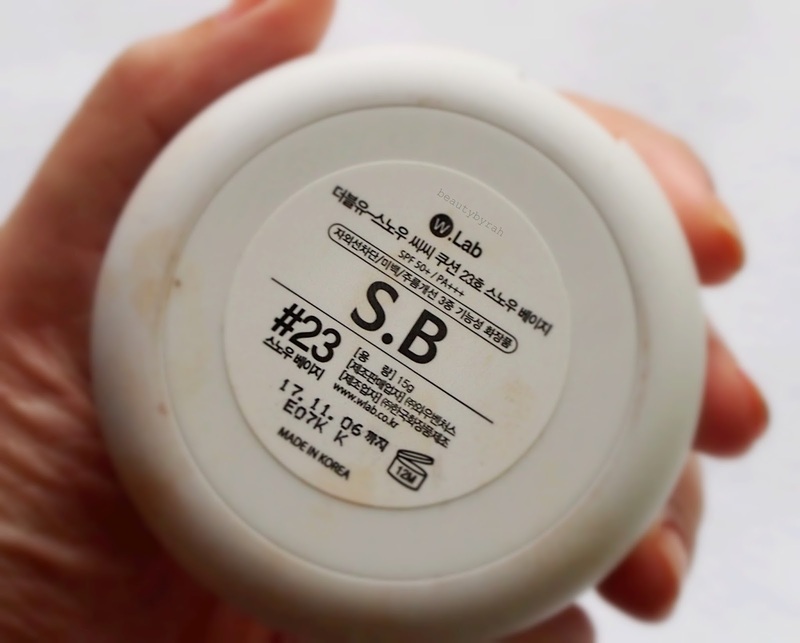 Usually, I noticed that upon sweating, many BB cushions tend to disintegrated and dissolve into patches (especially areas along my forehead and above the lip). 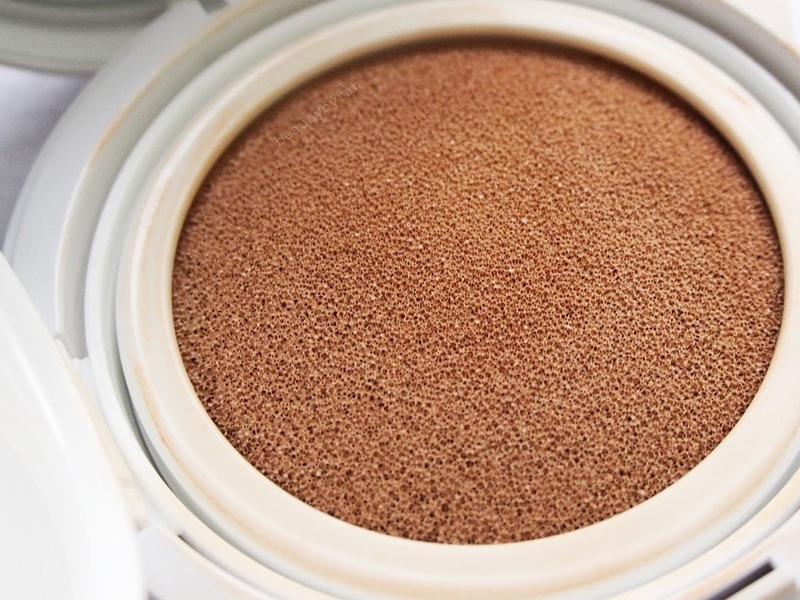 It is probably the worse thing that can happen to any makeup lover, as your base is ruined for the rest of the day. Not the mention that I just pretty much stepped out of the house. 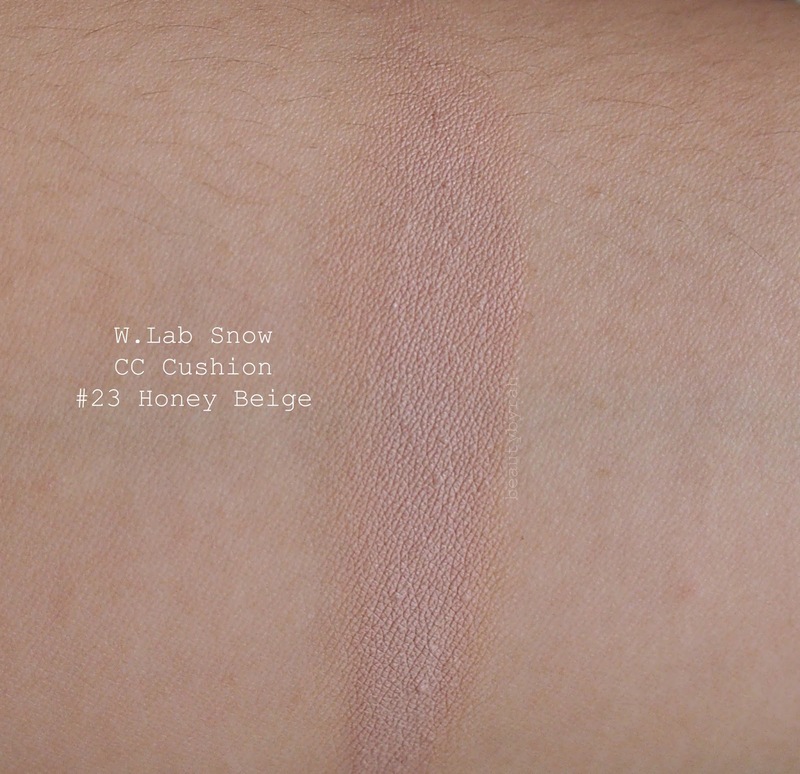 This CC Cushion did not fail me and it adhered all day long, with no streaking or patchiness. It sounds like it is too good to be true, and honestly I was pretty skeptical myself. How can it be this good, am I right? So, of course, I tested it out for a few more days. The result? I have not used any other base makeup in 3 weeks (and I have 18 opened bottles of foundation). This is saying something. It is so quick and easy! It lasts all day long and I love the finish of it. This is probably my holy grail of BB/CC Cushions (but then again, I do pretty much detest the rest that I have tried). Part of me is already considering getting a back up, even though I have only been using this for about 3 weeks or so. Yes, makeup lovers, you feel me. This does not cost an arm or a leg either. It retails for SGD $28 on Althea Korea's website. Go - go - go. I got mine in shade #23 (snow beige - apologies for the mistake in the image above!) which is the darkest shade that they have. Not a great shade range, as with many korean products. Upon application, it is a tad pinkish. However, I do find that is oxidises a little bit after 10 minutes or so, resulting in a slightly dark and somehow warmer toned shade (but that means that it matches my skin even more!). It is a tad light on my skin ( I am NC20-25 for reference) but nothing a bronzer can't fix. Always go lighter than darker, if you ask me. Also, it does not leave a greyish cast on my skin (which some korean base products do), so that is definitely a plus! Hope this enabled some of you! ;) Thanks for dropping by! XO.